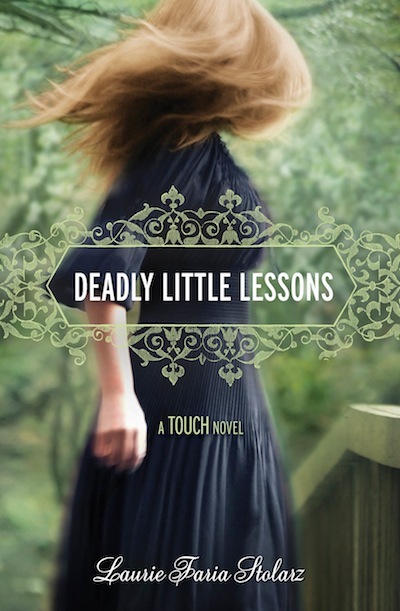 It's the final 2012 book release of Girlfriends Cyber Circuit, and we're sending out the year with a bang, with Laurie Faria Stolarz's new novel, Deadly Little Lessons! This is the third in Stolarz's acclaimed Touch series from Disney Hyperion. Go check out a sneak peek of Deadly Little Lessons now! The contest is all about giving and getting - hence the karma part. As many of you know, the law of karma, in its simplest definition, is that whatever you put out to the world - energy or otherwise, good or bad - comes back to you. And so, in the spirit of good karma, let's spread some goodness. I want to encourage readers to do a good deed, i.e. organize a fundraiser or food drive, volunteer to tutor or teach something, visit the elderly or a children's hospital. All good-karma submissions will be entered into a drawing to win autographed copies of some of my Touch series books. I'll be sharing the most inspiring stories on my website and Facebook, and I'll Tweet about them as well (with your permission, of course). For more information, see the official guidelines and rules on my web site. 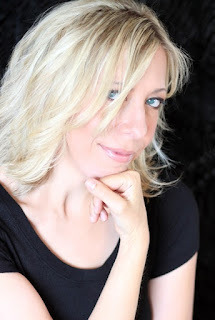 Laurie Faria Stolarz is the author of Deadly Little Secret, Deadly Little Lies, Deadly Little Games, Deadly Little Voices, Project 17, and Bleed, as well as the bestselling Blue is for Nightmares series. Born and raised in Salem, Massachusetts, Stolarz attended Merrimack College and received an MFA in creative writing from Emerson College in Boston. For more information, please visit her Web site at www.lauriestolarz.com. You can also follow her on Facebook and Twitter, as well as sign up for her newsletter for updates on contests, books, and appearances. Favorite snack: Popcorn with Earth Balance butter and lemon/pepper seasoning. Late-Night TV: Real Housewives of (wherever). Cheap Thrill: Window-shopping, tabloid magazines, buying a new lip gloss, a tall cup of coffee from Starbucks. Favorite Music: Adele, Fergie, James Blunt, Gavin Rossdale, Tori Amos, Sting, Sarah MacLachlin, Gwen Stefani, Black-eyed Peas. Remember, this takes practice and a bit of experimenting. The goal is to begin tuning in to your own inner awareness and your ability of perception. What often works for me is asking a question aloud, and then sculpting out the answer, using my power of touch in a creative and organic way. As I mentioned last night, the Weekend of Legend is my writing frenzy with a group of author friends, where we all set goals, ask you to help, and reward you with great prizes! 1000 words: Your choice of SHADE or WVMP swag pack, which include things like signed bookmarks stickers, buttons, note cards--and new for WVMP: cover flats! Question: @ me a pic of an adorable hat for David's hippie/hipster girlfriend Bailey. I picture her played by Dakota Fanning, if that helps (not creepy Twilight DF, more like natural, no-makeup, even frizzy haired but still gorgeous DF, though I think this photo captures Bailey's sunny outlook best). Question: For the 6-Pack o’ Angst Tunes, @ me your most heartbreak-y song. Word Count: 2000 on the dot! Question: To win Soul Screamers Vol 2, @ me actress for D's sister Mara. 17, bookish "good girl" with a devious heart. Question: @ me goofy ring tone that a mom might use (that would embarrass her kids). Question: @ me what David's girlfriend just doodled in her notebook. Answer can be in the form of words, pictures, or both. Use #5K & #WOL2 hashtags. Question: For a 6-pack of Faith ‘n’ Hope, @ me that song that gets you through. Use #6K & #WOL2 hashtags. Question: David & Bailey are (studying) alone at last! What's this frisky, free-spirited gal wearing? @ me pics, use #WOL2 & #7500 hashtags. This giveaway has NO LIMIT! Every entry counts, so send me tons of clothes (no lingerie--she's 17, he's 16). Question: What's my favorite band? (Hint: it's not one of the above bands, but there is an easy way to find out.) I will do a random draw from all correct answers--you MUST spell the band name exactly right. Please @ me with your answer, using #WOL2 & #9K hashtags. 10,000 words: Get your name in the David book, AND be among the first to get an Advance Review Copy (ARC) when they're available next year! Oh, and I'll throw in a copy of Arcade Fire's Neon Bible, the single most important piece of music to this novel and possibly the greatest concept album ever. When I reach each milestone, I will ask a question on Twitter, adding the hashtags #WOL2 and #1K, #2K, and so on, depending on the milestone. There'll be many contests going on all weekend on the #WOL2 hashtag, so this'll help me keep track. I will let each contest go for six hours to give people in various time zones more chance to participate, and I will announce when each giveaway is closed. Winners will be drawn using Random.org. ALL ENTRIES will put you in the running for the grand prize, but I will only count one entry per person per giveaway. So you'll have a maximum of eight entries. International peeps, listen up! iTunes won't let me give you stuff, so you'll be ineligible for those prizes, but as I just mentioned, ALL ENTRIES will put you in the running for the grand prize, so don't hesitate to join the fun. ***Also, for international winners of books, I will send your book via Book Depository and mail you a separate signed bookplate, rather than a signed book directly from me. Lately the Postal Service's customs process has become a major pain in the patootie. OK, time for me to go get ready to WRITE WRITE WRITE so you can WIN WIN WIN!! Also so that I can meet my deadline. Girlfriends Cyber Circuit Interview with Eileen Cook and The Almost Truth! Welcome back to the Girlfriends Cyber Circuit, where we spotlight hot new books by YA authors. This week's guest is Eileen Cook with her latest release, The Almost Truth. As someone who writes about con artists, I love stories about liars. This one looks like a ton of fun! Eileen Cook is a multi-published author with her novels appearing in eight different languages. She spent most of her teen years wishing she were someone else or somewhere else, which is great training for a writer. Her latest release, Unraveling Isobel, came out in Jan 2012. And now...my interview with the awesome Eileen! When it comes time to cut I have to delete it for good. Otherwise I start trying to convince myself that I don’t really have to delete it. It’s such a good “darling,” surely it doesn’t deserve to be taken out of the book. I delete it so it’s gone and there’s no turning back. I have no will power otherwise. That's incredibly brave--I save everything! 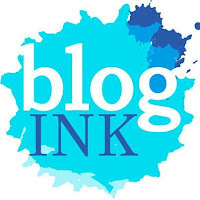 Now, turn to page 99 of your current release: which word on that page describes your main character best, and why? Pirate. (It’s odd that word would show up- but it really is on page 99!) Pirate describes Sadie because she’s a bit of a rogue, very independent, loyal to her friends and has a flexible sense of morality at times. Sadie sounds like my kinda heroine. What’s the scariest book-related thing to happen to you in the last year? The scariest thing was when I had computer trouble and thought I’d lost an entire manuscript. I think it’s safe to say what I experienced would be considered “a freak out.” I now have a cloud back up system so that my computer automatically backs everything up every 20 minutes. Yikes! I would've had a hundred heart attacks. Automatic backups rule! Do you have a quirk or detail in common with your main character (e.g., favorite food, habit, phrase)? We both tend to ask people questions and then get annoyed when we don’t like the answer. I’m working on it. I can’t vouch for Sadie. Hmm. I'll be extra careful if you ever interview me, lol. So what’s your favorite place you’ve ever traveled for book research? Last year I had a chance to go to Charleston NC. I fell in love with that city; the history is amazing. If I can travel first class then I love to fly, but I find train travel to be very romantic. Me, too! I highly recommend the sleeper car. 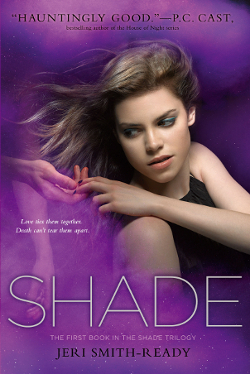 In the SHADE trilogy, Aura is the first of a generation that can see ghosts. What do you think defines your generation? If your generation could have a superpower, what would it be? I’ve never really felt like I grew up, so I’m not sure I identify with any one particular generation. If my generation could have a superpower I think we’d all choose to stay young. We’re having too much fun to get too old. I’d love to sit down with Dorothy Parker. She was a writer in the early 1900’s and was known for her sharp wit. She was a founding member of the Algonquin Round Table, which was a group of writers. Loved Eileen's answers, and I will definitely be checking out The Almost Truth! You should, too. I have something very special planned for you guys this weekend--check back tomorrow night for details!